Manz… Took a round at the Comex early this afternoon thinking I could walk comfortably looking at the babes and gadgets. But I was so wrong. Its b***** packed already! Anyway, we Singaporeans are suckers for anything that looks like a promotion is going on as well as babes. Oh I think I am repeating myself. One of the glaring problem at IT fairs continues, the very inexperienced and sales-driven sales people with no knowledge of their products or brand image. Enough of the rambling and for the record, third straight IT show without a purchase for me. For those who are going down to the Convention Hall on the weekend, please be reminded that the Marina Square’s entrance to Suntec has been blocked off for exit only. Meaning, that door is just for people going out of the hall. (At least this is what happened to me today). And for this last part of the post, let me refer back to the post title; Comex 2009: Where is the iPods? Coincidentally. Apple just refreshed their line-up of iPods today (including a iPod Nano that record video but not take pictures. ); the first day of Comex. Hence, very few iPods were on display and I was pretty amused to see few iPods and no big crowds at the Apple retailers booth. Only iPod Shuffle survive the refresh with a cheaper price tag, while iPod Touch has got a newer firmware and also a cheaper price. And there is this booth, I think its nubox, packed all their iPods in a small transparent case and they are still giving out brochures with the old models and prices. Let’s just hope they are honest enough to tell the customers that there is new line-up and new prices! Anyway, stocks of the new iPods should be coming in before the weekend. Update 11/09/09 1pm: My resourceful NTU senior, Alan, told me that the new iPods are undergoing checks at the IDA and most likely will not be in time at the show. Update 11/09/09 4pm: Looks the Apple Store SG has got the stock. 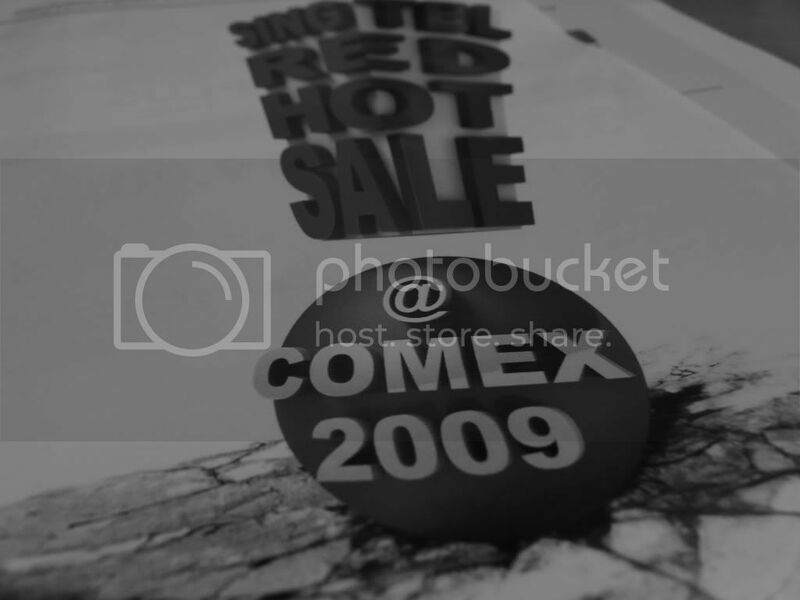 And also looks like Comex 2009 could have them too!